What does it mean to have a "good" or "bad" reputation? How does it create or destroy value, or shape chances to pursue particular opportunities? Where do reputations come from? How do we measure them? How do we build and manage them? Over the last twenty years the answers to these questions have become increasingly important-and increasingly problematic-for scholars and practitioners seeking to understand the creation, management, and role of reputation in corporate life. 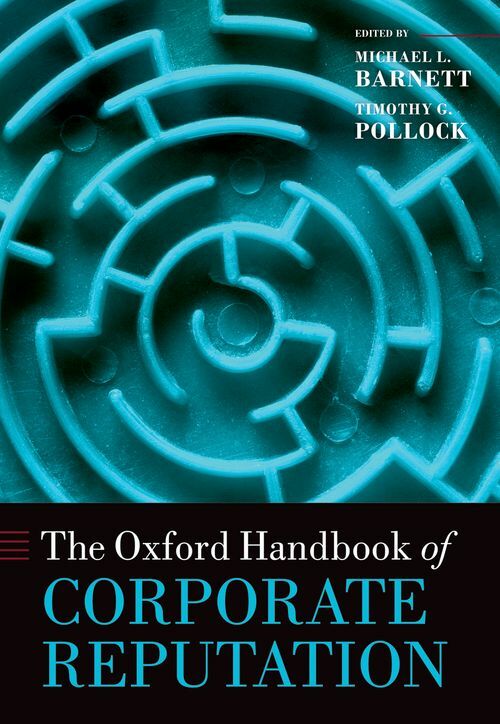 This Handbook intends to bring definitional clarity to these issues, giving an account of extant research and theory and offering guidance about where scholarship on corporate reputation might most profitably head. Eminent scholars from a variety of disciplines, such as management, sociology, economics, finance, history, marketing, and psychology, have contributed chapters to provide state of the art definitions of corporate reputation; differentiate reputation from other constructs and intangible assets; offer guidance on measuring reputation; consider the role of reputation as a corporate asset and how a variety of factors, including stage of life, nation of origin, and the stakeholders considered affect its ability to create value; and explore corporate reputation's role more broadly as a regulatory mechanism. Finally, they also discuss how to manage and grow reputations, as well as repair them when they are damaged. In discussing these issues this Handbook aims to move the field of corporate reputation research forward by demonstrating where the field is now, addressing some of the perpetual problems of definition and differentiation, and suggesting future research directions. 2. Show Me The Money: A Multi-Dimensional Perspective on Reputation as an Intangible Asset. 4. What Does it Mean to be Green: The Emergence of New Criteria for Assessing Corporate Reputation? 5. The Building Blocks of Corporate Reputation: Definitions, Antecedents, Consequences. 8. It Ain't What You Do, it's Who You Do it with: Distinguishing Reputation and Status. 11. Untangling Executive Reputation and Corporate Reputation: Who Made Who? 18. Does Reputation Work to Discipline Corporate Misconduct? Michael L. Barnett (PhD, New York University) is Professor of Strategy and Head of the Strategy, Entrepreneurship, and International Business (SEIB) Group at the University of Oxford's Said Business School. He is also Fellow in Management at St. Anne's College, University of Oxford. Mike has published extensively on corporate reputation and his article on industry self-regulation and shared reputation was selected as the Academy of Management Journal's Best Paper of 2008, and his article on the financial payoffs to corporate social responsibility was selected by the International Association for Business and Society as the Best Article of 2006. Mike serves on the editorial boards of Academy of Management Journal, Academy of Management Review, Academy of Management Perspectives, Business & Society, and Long Range Planning. ; Timothy G. Pollock (PhD University of Illinois at Urbana-Champaign) is Professor Management in the Smeal College of Business, Pennsylvania State University. He is Associate Editor of the Academy of Management Journal, and is a member, or has been a member, of the editorial boards of the Academy of Management Journal, Academy of Management Review, Administrative Science Quarterly, Journal of Business Venturing, Organization Science and Strategic Organization. He is an International Research Fellow of the Oxford University Centre for Corporate Reputation. His research has won the INFORMS/Organization Science Dissertation Proposal Competition, the Lou Pondy Award from the Organization and Management Theory Division of the Academy of Management, the 2009 IDEA Thought Leader Award from the Entrepreneurship Division of the Academy of Management for the best recent entrepreneurship research, and the Oxford University Centre for Corporate Reputation Best Published Paper Award for 2010.